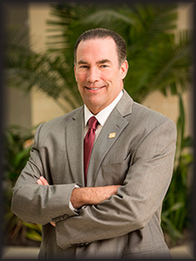 Mike has 24 years of banking experience with the majority focused on business and commercial lending. In his 14 years at Fifth Third Bank, he has served in several roles, including business banking relationship manager, portfolio management team leader, and business banking credit underwriter. Mike’s experience with assisting business customers in achieving their financial goals has helped him gain his clients’ trust as their trusted advisor. Mike’s philosophy is to efficiently and effectively apply his knowledge and experience to assist his clients in reaching their goals and objectives necessary to achieve maximum success in their respective industry. Mike earned a bachelor’s degree from Eastern Kentucky University and a Master of Business Administration from Xavier University. He is originally from Ashland, KY but relocated to Cincinnati in 1986. He is married with two sons, and is actively involved in high school athletics, serving as a registered basketball official for the last seven years. Mike has always been active in the community and has volunteered for several charitable, religious organizations, and educational institutions.